Ramon Jose Sender Graces was born on 3rd February 1901. He was a prolific writer, who published a vast quantity of novels, stories, plays, essays, poetry and articles throughout his life. 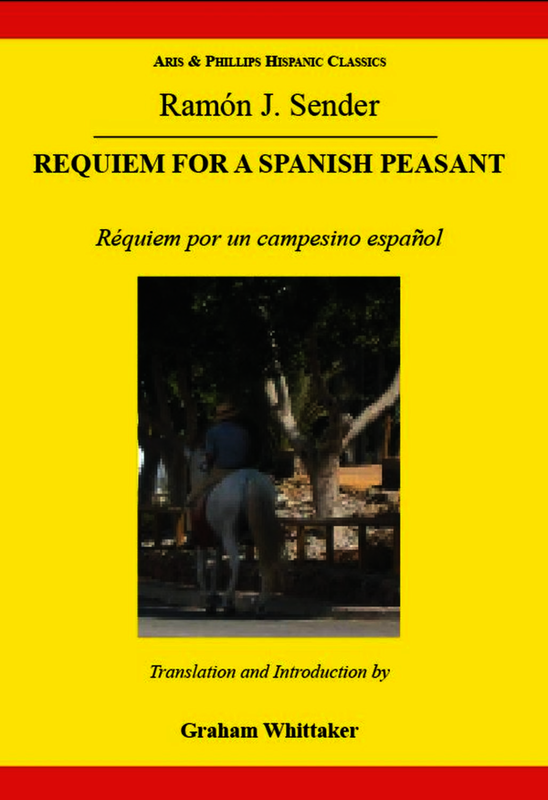 He wrote Requiem por un campesino espanol during one week in 1952, with the intention that it be part of a collection of short stories. That book never materialised, but Sender's novella was published by Aquelarre in Mexico in 1953 under the title Mosen Millan . The title was changed in 1960 by New York publisher Las Americas to something that could be meaningfully translated into English. The political message conveyed within the book meant that it was not published in Spain until 1974. Requiem for a Spanish Peasant relates the thoughts and memories of Mosen Millan, the parish priest, as he sits in the vestry of the church in a nameless Aragonese village, preparing to conduct a Reqiuem Mass to celebrate the life of a young peasant, Paco el del Molino, killed by the Nationalist army a year earlier, at the outbreak of the Spanish Civil War. As he waits, his thoughts are interrupted by the occasional comings and goings of an altar boy, who hums to himself an anonymous ballad. This ballad, along with Millan's thoughts and the voice of an omniscient narrator, creates three strands of narration for the reader to follow.